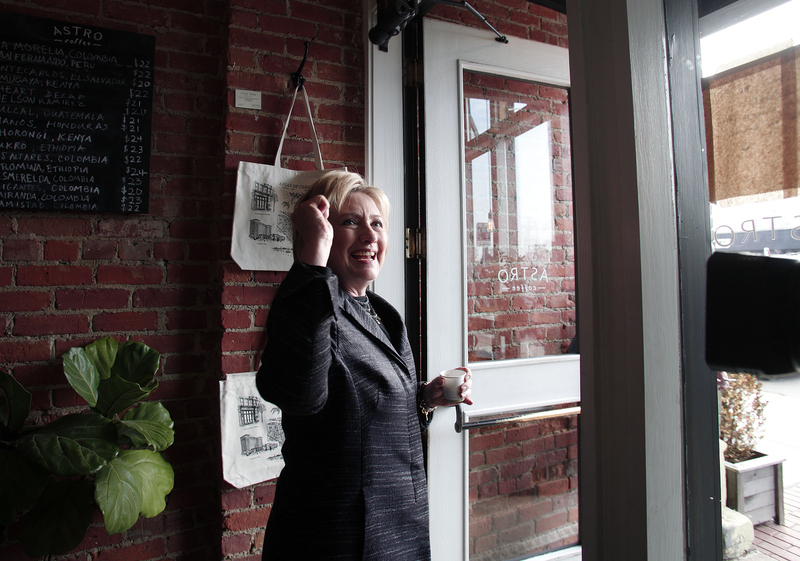 It seems that Tuesdays were made for Hillary Clinton. Just a week after winning big in the so-called Super Tuesday primaries and caucuses, the former secretary of state showed her strength once again on the smaller but still important second round of multiple Tuesday primary elections. Once it became clear that she had overcome her opponent, Vermont Sen. Bernie Sanders, in at least one state, Clinton gave another Tuesday victory speech, in which she explained why this day in particular mattered. Some 166 Democratic delegates were up for grabs on Tuesday as party members in Michigan and Mississippi had their chance to pick a presidential nominee. Michigan in particular has received much attention from candidates lately because of the ongoing water crisis in Flint, a city not far outside of Detroit. Going into Tuesday's contests, Clinton held a solid lead over Sanders, thanks to her big wins in previous primaries and her attentiveness to super delegates. Speaking at a rally in Cleveland, Ohio, Clinton referenced the water crisis in Flint and called for change nationwide. "We're going to tackle this lead problem nationwide," she said, noting that it's not just "the pipes under Flint, Michigan," that are contaminating children. She seemed to place some of the blame on corporations, saying, "We're going to stand up to corporations that seem to have absolutely no loyalty to this country." Clinton's speech continued to touch on the needs of workers and the importance of creating jobs. In fact, it was so anti-corporation and pro-labor that Sanders might have applauded her if he hadn't been running against her. And although job creation and the cleanup of contaminated cities should definitely be among the nation's priorities, Clinton seemed to miss a big opportunity to address another important issue. Tuesday wasn't just significant for Clinton because of the primaries; it was also International Women's Day, which is dedicated to celebrating the strides that women have made and calling for continued activism going forward. Throughout her very public life, Clinton has remained a steadfast advocate for women around the world, calling for equal pay and better access to women's healthcare, among other things. Don't you think we've waited long enough for affordable child care and paid family leave? Don't you think it's time for equal pay for equal work? Overall, I don't doubt Clinton's commitment to women's rights. But I suppose that, given the opportunity to speak in front of a wide audience on prime-time television on International Women's Day, I just expected more from the former first lady. Then again, maybe her parting words at the end of the speech should provide some reassurance: "If you work for me and you vote for me, I'll work my heart out for you."